To that end, keep alert with all perseverance, making supplication for all the saints, and also for me, that words may be given to me in opening my mouth boldly to proclaim the mystery of the gospel, for which I am an ambassador in chains, that I may declare it boldly, as I ought to speak. (Ephesians 6:10-20, ESV). It reminds me of something I read in Sun Tzu‘s treatise titled, “The Art of War,” in a section titled “Maneuvering.” Sun Tzu opened that section with the following statement: “In war, the general receives his commands from the sovereign” (quote source here). Sun Tzu (544-496 BC) “was a Chinese general, military strategist, and philosopher who lived in ancient China. Sun Tzu is traditionally credited as the author of The Art of War, a widely influential work of military strategy that has affected both Western and Eastern philosophy” (quote source here). The entire text of “The Art of War” can be read online at this link. While there is nothing that indicates Sun Tzu believed in the God of the Bible (and indeed, he lived centuries before the Bible was in print), his statement, “In war, the general receives his commands from the sovereign,” is quite an apted one. There is an Old Testament figure, King David, who was born in Bethlehem and died in 962 BC (four centuries before the arrival of Sun Tzu in ancient China) who also lived centuries before the entire Bible was in print (including most of the Old Testament and all of the New Testament), and he was known as a man after God’s own heart (see I Samuel 13:14 and Acts 13:22–David was installed as King after God rejected Israel’s first king, King Saul). King David was a man of contrasts. He was singlemindedly committed to God, yet guilty of some of the most serious sins recorded in the Old Testament. David lived a frustrating life, first in the shadow of his brothers, then constantly on the run from vengeful King Saul. Even after he became king of Israel, David was engaged in almost constant warfare to defend the kingdom. King David was a great military conqueror, but he could not conquer himself. He allowed one night of lust with Bathsheba, and it had disastrous consequences in his life. Although King David fathered Solomon, one of Israel’s greatest kings, he was also the father of Absalom, whose rebellion brought bloodshed and grief. “A Heart Like His” looks at this bond of mutual love and admiration between a man who was not unlike any of us and the one true God who is all good and all powerful. Beth Moore walks us through an exploration of David’s incredible life, drawing spiritual insights from a man who boldly fulfilled his divine destiny not merely by what he did, but who he loved and served. Bringing lessons from David’s life to bear on your own, this picture of a man who loved and followed God will help you to serve with a heart focused on Him no matter the circumstance (quote source here). First, he was a man with a tremendous relationship with God–called a man after God’s own heart. His songs and poetry inspire us to worship. Since we believe that an intimate love relationship with God is the highest blessing possible in this life or the next, David is a worthy subject for our study. A third reason to study David involves his relationship to Jesus Christ, the Messiah. In many ways, David prefigures Christ. As we study David, we will come both to understand to to appreciate our Savior in new ways. I believe strongly in a fourth reason to study David. Simply stated, he’s in the Bible. You see, Bible study saved my life. I believe studying God’s Word has enormous life-enhancing value. In many different ways I have benefitted from spending time in God’s Word. As you read, “A Heart Like His,” you will accomplish a detailed study of the books of 1 and 2 Samuel. You will also read portions of Psalms, 1 and 2 Chronicles, and many verses from other Old and New Testament books. I have written this book so that you can read it by itself, but I would encourage you to read the Scripture passages from your own Bible. The Scripture references for reading appear at the beginning of each chapter. (Quote source: Introduction, pp. 2-3). The book is available at this link (Lifeway.com–$5.00 for a limited time only). Since I love reading books on the life of David, I couldn’t resist buying “A Heart Like His,” which is on sale for $5.00 right now at Lifeway Bookstores, and I’m looking forward to reading this one with much anticipation. Perhaps the greatest message to be found in the life of David is his singular devotion to God even in the midst of his worst sins that had some pretty devastating consequences in his life; consequences allowed by God to bring him to utter dependence on God. God is always very aware of our weaknesses and our sin, but it is in our weaknesses and sin that God can use, if we do not turn away from him in the midst of the very difficult times, to conform us to become men and women after his own heart. And it is our own reaction to those consequences that speaks volumes about who we really trust and believe in . . . whether it is in God, or whether is it in ourselves or in anyone or anything else. In the case of David, sometimes it took a long time before he realized his grave error (as with his affair with Bathsheba, or his failure to discipline his own children), but always he repented and came back to God. David killed Goliath, champion of the Philistines, when David was only a youth and Goliath a giant and veteran warrior. David was victorious because he trusted in God for the victory, not himself. He killed many of Israel’s enemies in battle. Despite several opportunities, David refused to kill King Saul, God’s first anointed king, who was pursuing David out of mad jealousy. He became friends, like brothers, with Saul’s son Jonathan, setting a model of friendship that everyone can learn from. King David is included in the “Faith Hall of Fame” in Hebrews 11. David was courageous and strong in battle, trusting in God for protection. He was loyal to Saul, despite Saul’s crazed pursuit of him. David loved God deeply throughout his entire life. King David committed adultery with Bathsheba. He then tried to cover up her pregnancy, and when he failed with that, he had her husband Uriah the Hittite killed. He took a census of the people, willfully violating God’s command not to do that. King David was sometimes lax, or absent as a father, not disciplining his children when they needed it. Honest self-examination is necessary to recognize our own sin, then we must repent of it. We may try to fool ourselves or others, but we cannot hide our sin from God. God always offers forgiveness for our sins, but we cannot escape the consequences. Perhaps one of the most difficult lessons we can learn is concerning our sin that is most hidden. In fact, it is often so well hidden that we don’t even recognize it for what it is–like envy, jealousy, being judgmental, showing a lack of love for others, loving money and possessions, thoughts that go nowhere good; and even in the midst of doing something we think is the right thing to do but we actually have no business doing it. And, and it can be hard to tell if it is something we shouldn’t doing it, like differentiating between seeking justice in the form of revenge instead of showing mercy. And sometimes it is hard to differentiate between seeking justice or wanting revenge. The best thing we can do in times like that is to completely trust God for justice in any situation, and to always show mercy (which is definitely our part in the equation). We must never confuse our own seeking after justice with God’s justice. God said vengeance is his and he means it, too (see Romans 12:19). The apostle Paul stated in that verse, “Do not take revenge, my dear friends, but leave room for God’s wrath, for it is written: “It is mine to avenge; I will repay,” says the Lord. Most battles that come our way are far bigger than we can handle on our own, even when we try to take matters into our own hands and think by doing so we are helping God out. Often, we are only harming ourselves. It goes back to the verses in Ephesians stated at the beginning of this post found in Ephesians 6:10-20. Standing firm in peace, truth, faith, God’s righteousness, salvation, prayer, the Word of God–those are our weapons. 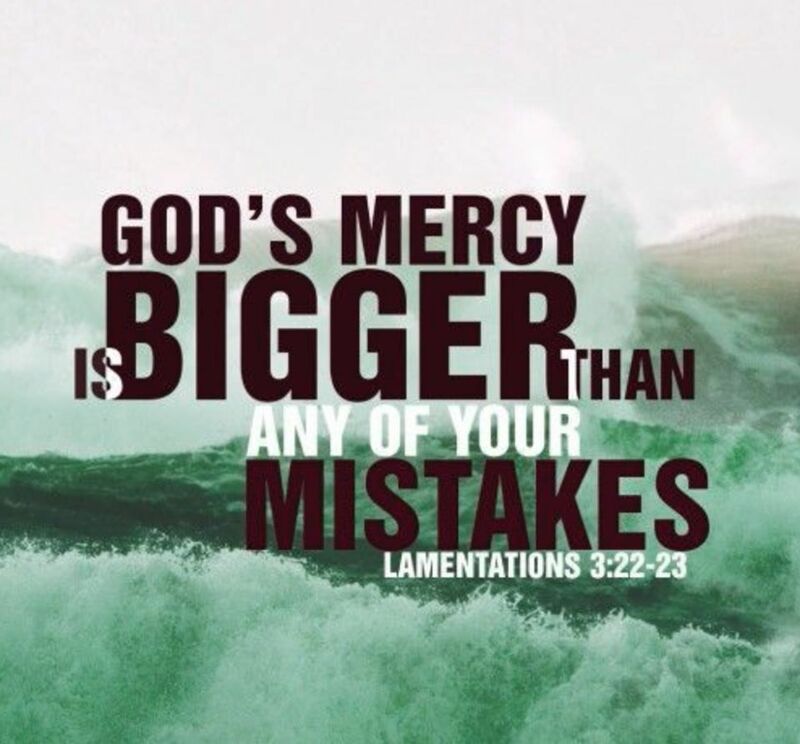 Anything else does not come from God . . . .
Mercy came running like a prisoner set free . . . When I could not reach mercy . . .
Mercy came running to me . . . . Excellent! Thank you, and I agree David is a fascinating study, and, you will indeed enjoy Moore’s book. As with all of her writings, this one will truly open your eyes to the richness of our Lord’s work in our lives. Thanks! I will definitely take a look at the link you sent.